BeauBronz is applied by the therapist using an airbrush that will leave you looking sun-kissed and golden. 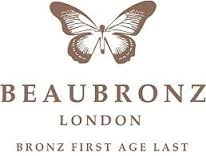 BeauBronz contains 100% natural ingredients. To prepare for our spray tan you need to, shower and exfoliate the night before and on the day do not apply any moisturiser to the body as this will act as a barrier to the spray tan. Please wear dark loose clothing and avoid wearing leggings or jeans as these will rub against the tan during its development time. After having the spray tan you need to wait for the tan to develop, then shower. When getting out the shower pat dry your skin and not to rub, as this may cause you skin to exfoliate. Moisturise with an oil free moisturiser.